Different diseases may cause yellow toenails, but your personal preferences, like using orange, yellow or red nail polish, may also contribute to yellow toenails. In some cases, yellow toenails may well be an indication of a serious problem like fungal infection or diabetes. It is important to take some steps and learn how to get rid of yellow nails because if left untreated, it will affect the rest of your nail and may even spread to the roof of your nail. 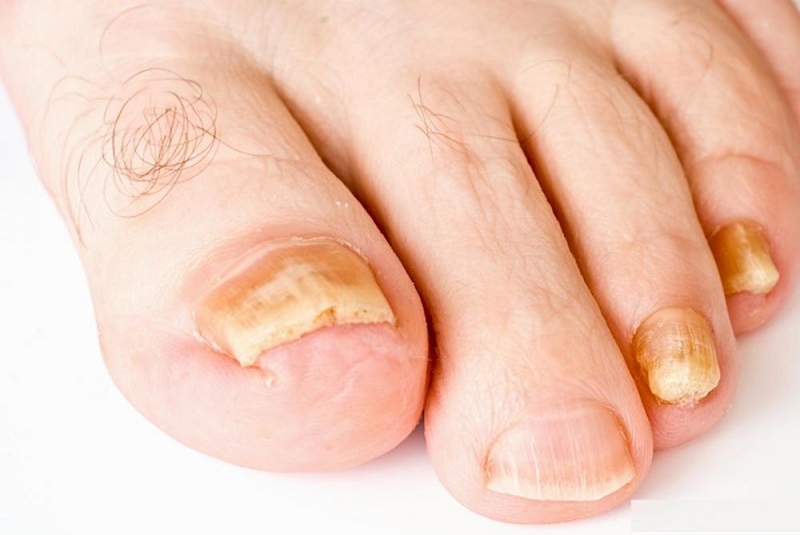 A common fungal infection like onchomycosis is one of the underlying causes of yellow toenails. It affects about 12% of people in the U.S. alone. Your toenails are more likely to develop a fungal infection because you wear closed shoes which provide the fungus yeast moist-environment to thrive. If it's an infection, your toenails may look dark and become thick. It is important to see your doctor because the infection can separate your nail from the nail bed. In this case, you will notice your nails becoming thick, yellow and may even separate from the nail bed. The real cause of this disease is unknown, but people with weak lymphatic systems may develop this condition. People with conditions like bronchiectasis, sinusitis, rheumatoid arthritis, and cancer are more likely to develop yellow nail syndrome. Wearing darkly tinted nail polish may well be the culprit in your case. The yellow color is usually a stain only and you can get rid of it by applying a base coat before applying nail polish. Avoiding toenail polish for some time may also help. The yellow stains are usually on the top layers of your nails. You can get rid of it by buffing your nails lightly. A word of caution is that frequent buffing may lead to weaker nails. You may want to try a clear strengthening polish after buffing. Don't rely heavily on nail polish removers because it will make things worse. Thanks to its whitening properties, hydrogen peroxide (3% solution) can be an extremely good remedy for yellow toenails. 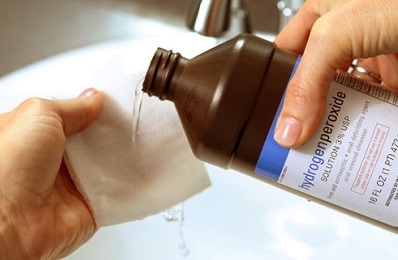 Simply mix 3 tablespoons of hydrogen peroxide into half cup of water and mix them well. Then put your feet in the solution for a few minutes and scrub your nails with a soft toothbrush. Do it once a week. It works due to its bleaching and exfoliating properties. 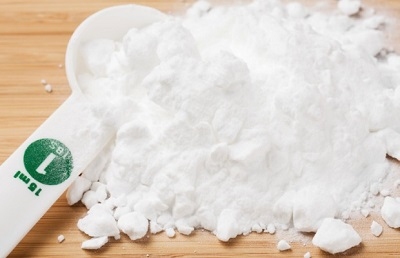 You need to take 1 tablespoon of 3% hydrogen peroxide and mix it with two and one-half tablespoons of baking soda in a small bowl. Apply the mixture directly on your stained nails. Leave it there for 3-4 minutes and then wash it off with lukewarm water. 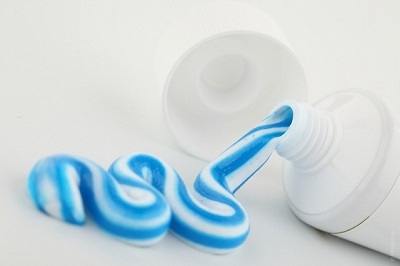 If toothpaste can make your teeth whiter, it can make your toenails whiter as well. Just be sure to use toothpaste that contains hydrogen peroxide. You simply need to apply toothpaste on your toenail and let it sit there for 10 minutes or so. Get a nailbrush to scrub your nails gently. Then wash it off using cotton balls soaked in water. This remedy works if the yellow color of your toenails is due to a fungus-related infection. This natural fungicide has antimicrobial properties and can disinfect your nails. 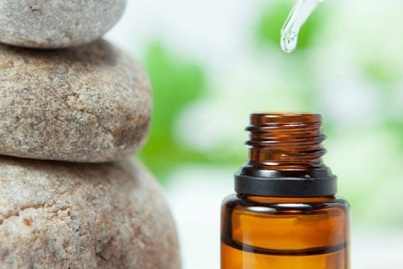 Simply apply pure tea tree oil to your nails. You may consider using an eyedropper for this. Leave it there for a few minutes and then wash it off with lukewarm water. Doing this twice daily for a few months will help. These berries can be a great disinfectant. 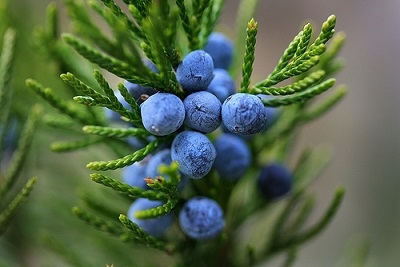 Crush some juniper berries to get a teaspoon of its juice. Add it into a bowl of warm water and soak your feet in it for about 15 minutes before rinsing with lukewarm water. Don't forget to use a moisturizer on your feet after the treatment. If your yellow toenails are the outcome of a yellow nail syndrome, taking zinc supplements may prove beneficial. Even if it doesn't help directly with your yellow nails, it will offer other benefits and help prevent infection. Increasing your vitamin E intake will also help. Several researchers have found that combining vitamin E with other medications for fungal infections or yellow nail syndrome produce impressive results. You may also consider using topic vitamin E solution to reduce yellow coloring and promote overall nail health. If home remedies don't work, you need to use medical methods to get rid of yellow toenails. For infection, your doctor may recommend a medicated polish that contains cicloprox to treat milder infections. For severe infections, your doctor will switch to oral antifungal medications such as Lamisil or Sporanox. Nail gels are also available to help in mild cases. Nonyx Nail and Mycocide NS are 2 popular and effective gels. Mycocide NS is a clinically tested solution that works amazingly well to kill the germs. Nonyx Nail Gel works by breaking down the build-up underneath your toenails. Bear in mind to use these gels under the supervision of your podiatrist. Try Zetaclear, a product that contains ingredients like jojoba oil, tea tree oil, clove oil, and lavender oil. These ingredients have anti-fungal properties and work great on your yellow nails. The product is usually free of any side effects. It is important to point out that your doctor may also consider opting for a surgical procedure to remove yellow, infected nail when other treatment methods fail. It is often difficult to get rid of yellow toenails, so you'd better follow the tips below to avoid it from happening in the first place. Always keep some anti-fungal cream at home. Use it if the fungus returns. Always keep your feet dry and wear breathable shoes to avoid infection. Don't leave your shower floors wet or dirty or they will harbor fungus. Always wash your socks in 2oz of eucalyptus oil in a tub containing 6L of water. Invest in a shoe sterilizer to kill the fungus and bacteria that lead to toenail fungus. Pedicures may push the cuticle back and allow fungus to get under the nail bed. Avoid! Server responsed at: 04/20/2019 10:19 p.m.